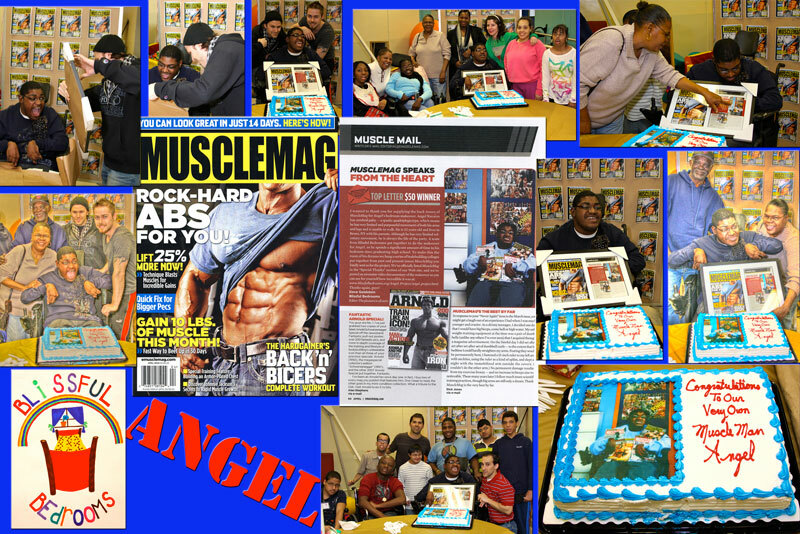 On Friday, March 12, 2010, at his school in Bronx, NY, Blissful Bedrooms and friends celebrated Angel’s feature in MuscleMag! In addition to Angel’s family attending, many of his closest friends were there in attendance as well. After a game of “parachute ball”, a framed copy of Angel’s feature in MuscleMag was presented to him, along with a beautiful (and delicious) cake. Go Angel!